That seems reasonable to me. Now I need to get the time in between my book, my schoolwork, and the rest of my life to make this project progress! Pardon the crappy MSpaint, but would it be possible to have the skin enabled but leave out the screen overlay? Maybe as another option. I see what you're requesting, but I don't really understand the point. Why would you want the low-quality screen rendering method on top of the snazzy skin when there's a high-quality mode? In my opinion it makes the readability much better. When on the emulator page, I cannot type any text in SAX. Yes, that is the case in every browser. I just need to make the key handler be a bit more focused in how it catches keys; not too big of a deal. 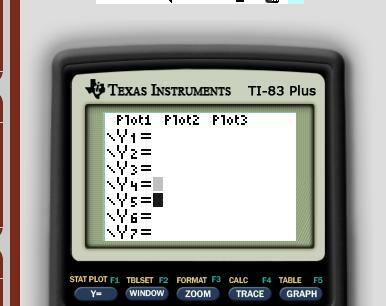 When I get back to working on jsTIfied, I need to do that, get the TI-84+ support finished, perhaps look into Silver Edition support, consider a governor to limit it down to the target 6/15 MHz, finish fixing getting files out of the emulator via sending, and decide on and implement proper integration of jsTIfied into SourceCoder. There are 187 users online: 8 members and 179 guests. Members: commandblockguy, jonbush, kg583, LogicalJoe, Michael2_3B. © Copyright 2000-2019 Cemetech & Christopher Mitchell :: Page Execution Time: 0.124374 seconds.